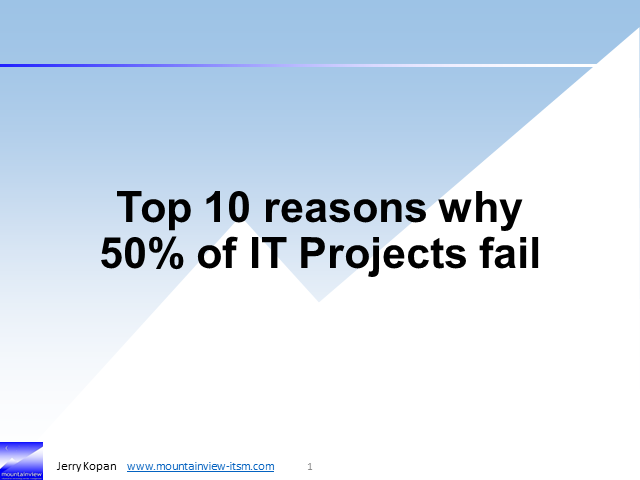 This presentation will review the top 10 reasons why IT Projects have a 50% failure rate. This summary is based on our ITSM Assessments of over 100 customers. The ITSM Assessment is the first stage of our ITSM Improvement Program.